Now that Summer Reading is over and the lull after summer reading is over, it’s into Planning Time now. Yup, Capital Letter-type Planning. Since we don’t start our regularly schedule programs until October, September has been a bit of a catch up month. I feel like I barely did any collection development during July and August, and I definitely wasn’t thinking about fall programming or spring. I was just trying to get through the next five programs we had that week! So busy! So now Clare and I have been talking about and working on all sorts of things: outreach to some community groups like the youth center in town and the Andover chapter of A Better Chance which seems like a really cool program; collection development is back in a more regular rotation; trying to think ahead to Teen Read Week; working on some small Banned Books programming for the end of the month; kicking around the idea of a regional Comic-con with some other libraries; the Teen Poetry Contest in the spring; our VolunTeen Advisory Board; and more. I’m the most excited about the prospect of a library Comic-Con. As you may know I’m pretty nerdy. And, as evidenced by the popularity of our Random Fandom Summer Reading program, so are a lot of our teens. I mean nerdy in a really good way! They have books, shows, movies, games, and more that they really like and get really excited about. I think that’s awesome. It would be so fun to host a longer program, like on a Saturday, which times for gaming, cosplay, trivia, crafts, and demonstrations all related to different fandoms and interests. It’d be like Random Fandom Lite! 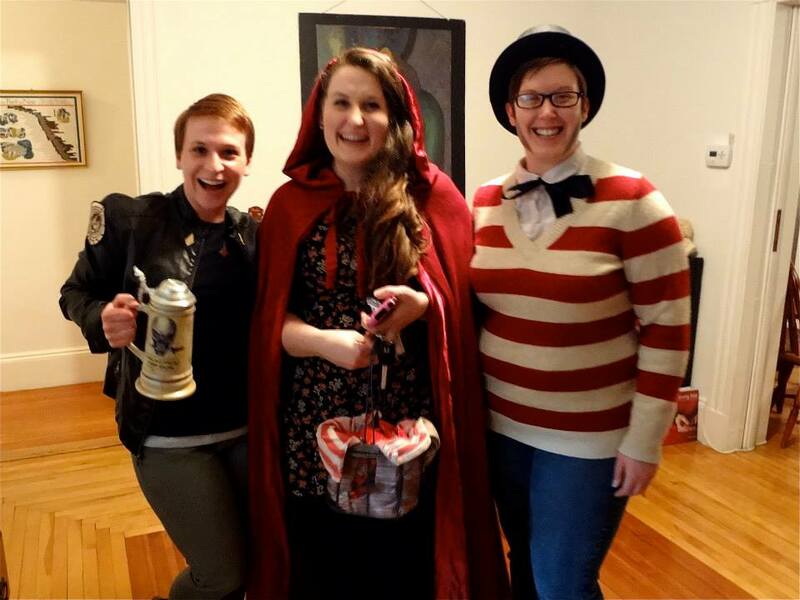 Even more exciting than the prospect of a Merrimack Valley Comic-Con is another program a few of us are working on: library-hosted pub trivia! It’s the dream! We are investigating options of hosting it in the library (with no alcohol, sadly) or at a restaurant nearby in town. Hopefully we could bring in that hard to get demographic of real world Young Adults (the ones in the 20s and 30s) and show them the library is cool! Or maybe not “cool.” Is “cool” cool anymore? I don’t know. Just get them into the library. Other than planning, I’ve been having a good time checking out the #fyaphotoaday Instagram project put on by Forever Young Adult. Lots of fun and lots of pretty bookshelves! What are your Septembers like? Busy with back to school or do you get a little break to enjoy the cooling weather? I would totally attend (or host!) library trivia. As for all-day Saturday programs, our Doctor Who Day (http://robbinslibrary.wordpress.com/?s=doctor+who+day) took a ton of time but was a huge success. I will definitely let you know when our first trivia date will be. We are hoping to launch a “pilot program” in January and test it out for a few months. There is a restaurant about 30 feet from the library that is potentially on board with hosting!!! We are also trying to figure out how to build a TARDIS which will be hilarious because neither Clare nor I are particularly handy!